Remember, social media commerce is social. After you or your business are following and being followed by a few hundred people on Twitter and Facebook, you may wonder why you ever followed back so many people. Your personal Facebook page allows you to place your friends into groups, but for Twitter you need a tool that can help you segregate your customers from your closest friends, family, and online friends in separate feeds. Suppose you have more than 55,000 followers on Twitter, and you follow back about 45,000. This crowd can get unwieldy without a management tool. Many apps can help with your Twitter outreach. For mobile, many find that the basic Twitter app serves them well, but third-party clients are also popular. Twitterrific (see the image) was the first great Twitter client for the iPhone (now on iPad as well) and still remains a favorite with iOS users. For Android, Seesmic is popular for its speed and many valuable features: sharing photos, videos, and the use of bitly-shortened links. 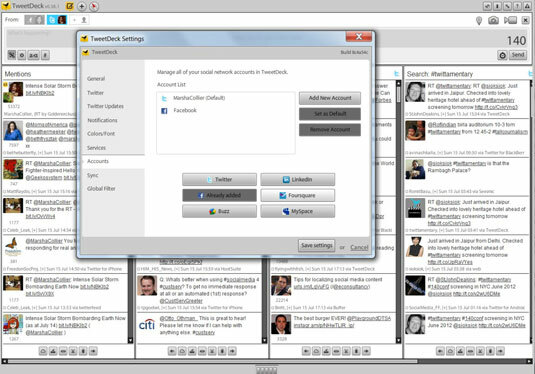 Seesmic also takes advantage of Twitter web features such as lists, trending topics, and search. Twitterific is a favorite on the iPhone. Customize stream columns: You can choose to follow topics, hashtag subjects, lists that you have set up on Twitter, or even particular users, each within their own columns. Schedule Tweets: You can schedule a Tweet for a later day or time. Instead of clicking Send after you type your Tweet, click the small clock icon next to the Send button, and set the time and date for the post to appear. Move columns: Select the order in which you’d like to view your columns. Change their order by clicking the sideways arrows at the bottom of the column you want to move to the right or left. Shorten URLs: Links shared on Twitter.com are automatically shortened to a t.co link. If you want to have tracking capabilities for links you Tweet, use a bitly account. TweetDeck can be authorized to use your bitly credentials (found in your bitly account). Customize background colors and text size. If you’re not a fan of white text on a black background, with TweetDeck, you can have black text on a white background and change the text size. Adding a LinkedIn account to TweetDeck is a one-click proposition. 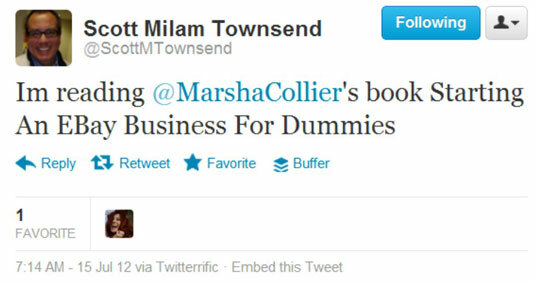 Set up Twitter searches for your products, your industry, and especially your competition so that they appear as columns in TweetDeck. Be proactive here; not every topic has its own hashtag or Twitter handle. When following your competitor’s Twitter streams, it’s not a bad idea to jump into their Tweet stream and attract customers to you. Any time you see someone comment on a topic that interests you, click the user’s avatar (in the upper-left corner) to reply. New points of view are what fuel conversations on Twitter. Folks enjoy shout-outs and appreciate that you took the time to connect. By following your industry and figuring out what customers are looking for, you might get a leg up on the competition. For example, if you’re a baker and you see comments about pink velvet cupcakes, you may find it worthwhile to find the recipe and jump on this trend before your competition.